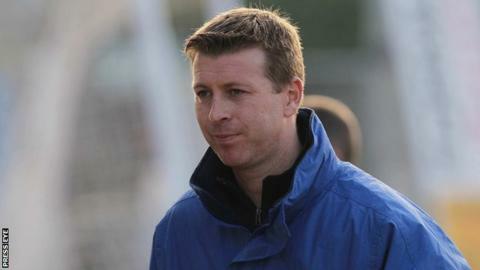 Pat McGibbon has pulled out of the race to become the next Glentoran manager. Ex-Northern Ireland defender McGibbon joins H&W Welders manager Gary Smyth in asking for his name to be withdrawn from the list of possible candidates. Glentoran are expected to interview a number of contenders this week including Kenny Shiels. "I did apply and was keen on the job but I got the impression that Glentoran didn't feel I was the right man," said ex-Glens player McGibbon. Over the weekend, former Ballymena United, Coleraine, Greenock Morton and Kilmarnock boss Shiels appeared to emerge the new frontrunner to replace Eddie Patterson. Shiels, 59, was at the Oval on Saturday as Glentoran drew 1-1 with Coleraine in the Irish Premiership. Patterson was sacked from the job last month and former Glens players McGibbon and Smyth were initially linked with the job.